CRJA-IBI Group is currently designing a 36,500 sq ft roof garden above an 850 space parking garage in New Haven. CT. 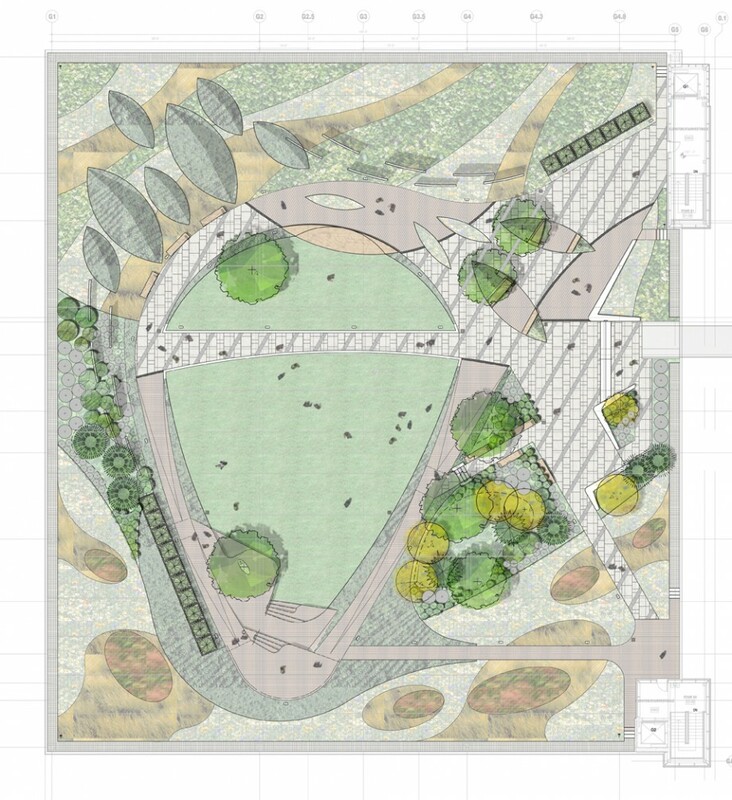 The roof terrace might include paved and green space, gathering space, trees, lawn and other vegetated areas. Furnishings may include benches, seat walls, tables, chairs, etc. Water features may be considered. The terrace will be connected to adjacent building by a sky bridge.